AutoGuide nerd, who looks like a school shooter in the making, tells us that the struggling Lincoln company is back on the map with the new Navigator. This video review is possibly an example of a motoring journalist being drafted in to say positive things about the Lincoln brand. 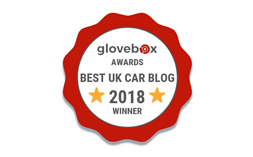 The theory being is that if a credible motoring publication, through either print or media, relays a positive message then the car will sell to a wider audience. The latter is the hope and aim of the manufacture. And AutoGuide may well be submissive to this. Or they may not be. The problem with motoring journalism is that is easy to become entrapped with the manufactures. Afterall AutoGuide make their money reviewing cars, so it makes sense to become allied with the manufactures. Why? to gain access. The basic principle is, the more cars you review the more revenue you generate. Lincoln is owned by Ford. So there is already a problem from the start. Lincoln has always been seen as a luxury brand. However the Lincoln Navigator is doing really well, sales are up 80 percent. Even we have to admit it looks impressive. Our only problem is the school-shooter YouTube review guy.